Ethylene is a gas that is naturally produced by plants and aids in the growth and development of the crop. However, too much ethylene can damage the plants and affect marketability. Decaying foliage, ripening fruit and stressed plants produce more ethylene than young, healthy plants. Other sources of ethylene gas are blowers, trimmers and carts with combustion engines, propane powered forklifts, heating systems, vent stacks and leaky fuel lines. Most often when there are high levels of ethylene gas, there is also a high concentration of carbon monoxide, which is dangerous to humans working inside the greenhouse. 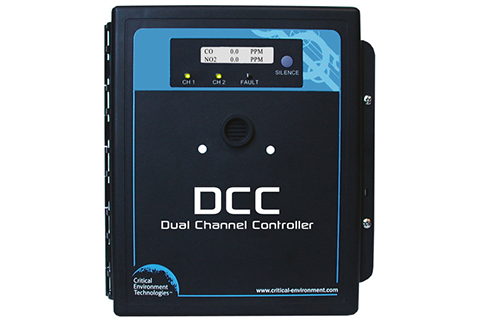 The DCC Dual Channel Controller with an internal CO sensor and an internal ethylene gas sensor is the solution. 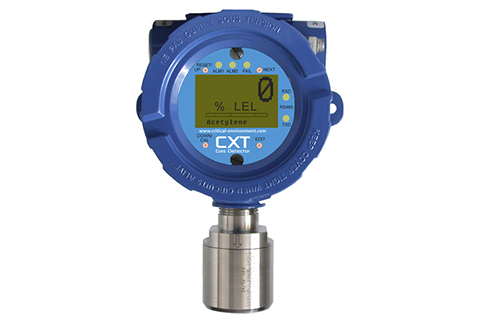 The DCC provides both gas detection and controller functions. It should be mounted in the growing area at the “breathing zone” height (4 – 6 ft from the floor) to provide continuous monitoring of carbon monoxide and ethylene levels inside the room where workers are present. 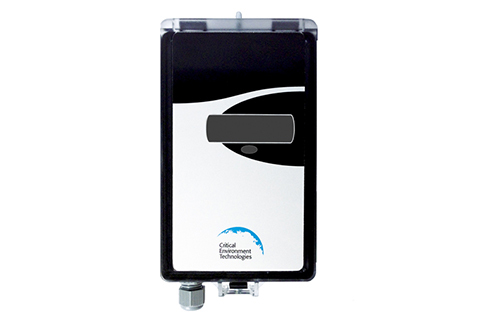 The gas level readings are viewable on the LCD display of the DCC Controller. 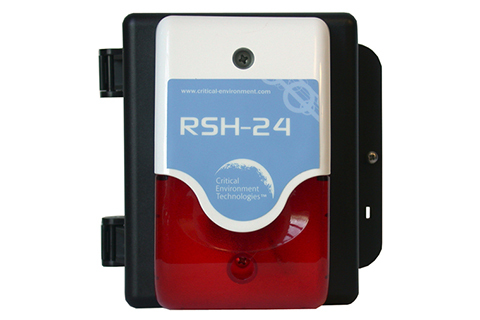 If the ethylene or carbon monoxide concentration rises above acceptable levels, an audible alarm will sound, the display will indicate an alarm condition and the relays will activate a preset response, such as turning on a remote strobe/horn (RSH-24VDC) and turning on the ventilation system. The legal marijuana industry is experiencing a whole new world of possibilities when it comes to product offerings. There are commercial growing, processing and extraction facilities producing forms of the product that can be smoked or eaten. Edible products are typically infused with a highly concentrated oil, providing edible products as an alternative to smoking. To produce the honey-like oil, the production process typically involves using a flammable and hazardous solvent, such as butane to extract the THC from the plant. During the process, at some point the butane must be released to remove it from the oil which could pose the risk of explosion and asphyxiation. In a closed system, this release is less dangerous than in an open system. However, the potential for butane to leak and/or be released into the surrounding air is legitimate safety concern. 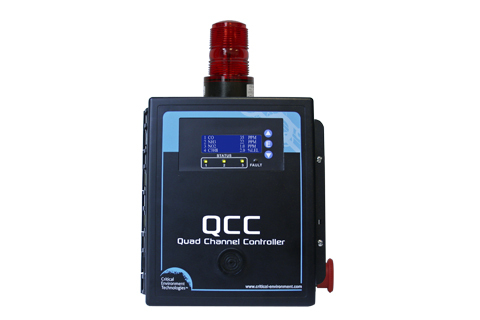 Having the QCC Quad Channel Controller with a CXT Explosion Proof transmitter with an infrared Butane sensor to monitor for butane leaks is a safety practice that may save facilities from explosions and workers from hazardous gas exposure. With the recent legalization of marijuana in many North American regions, the cannabis production industry is booming. Greenhouses and other indoor grow rooms provide a structure for growing plants in a controlled environment but can also pose potential hazards to human health. To create favourable growing conditions, reliable heating, cooling and ventilation must be used. Heating may be supplied by sunlight, natural gas, propane gas, fuel oil, wood or electricity. Gas powered equipment may be a source of carbon monoxide if not properly maintained and serviced. Grow lights emit a great deal of heat and can cause combustible gases to ignite. Cooling of the facility is often done by a ventilation system. But there may also be an air conditioning system, which could be a source for refrigerant leaks. Current practices for the commercial cultivation of marijuana and industrial hemp uses Carbon dioxide (CO2) enrichment to increase plant growth and development either using cylinders of liquefi ed compressed gas or a CO2 generator. CO2 displaces oxygen and can cause an asphyxiation hazard. 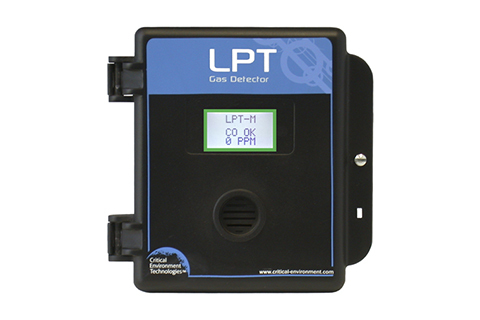 The QCC Quad Channel Controller and an LPT-M Transmitter with an internal carbon monoxide sensor and an ESH-A remote propane (or methane) gas sensor, plus an AST-IS6 carbon dioxide transmitter is the solution. 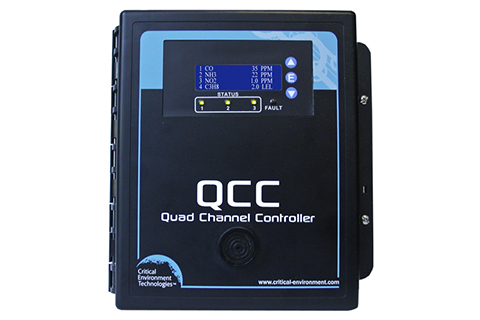 Each transmitter provides continuous monitoring of the gas levels in the air and is part of the network connected to the QCC Controller which in turn can be configured to control equipment to alert and mitigate the hazard. Based in Oakville, Ontario, DEMESA Inc. is a Canadian owned and operated company, established in 2001 and operates in both official languages. Our objective is to provide our customers with services essential for the protection of human life and the environment.